Finally, the other day when he was outside playing, I was able to not only wash the thing, but to get it on his bed in time for a quick photograph or two before he came in to claim it for use of making an outdoor fort. And out the door it went! 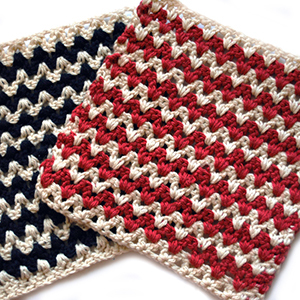 The pattern is called Scrumptious Scraps Afghan by Dot Matthews and can be found for free following this link to Crochetville. The only modification that I made is that all the stitches are done in the back loop only. I like the way that the blo delineates the wavy lines a bit more. I have to say that this was such a fun and easy blanket to make. I love the fact that it was “designed” more or less by my little one, and that it turned out to be just the way he envisioned it. I plan on hanging onto this pattern for when I’m finally ready to put all my yarn scraps to good use! I’m sure you could use a different thickness – it will be more hole-y with the same hook and a lighter weight yarn, or you could try increasing the initial chain. My foundation chain was 156 (plus whatever extra stitches start the pattern). Mine is a little over 4 feet wide. Hope this helps! Welcome to Mellie Blossom! I'm Mellie, midwestern mama to two amazing boys, a beautiful little girl, and one more bundle of love on the way! I spend my days cooking and baking, homeschooling my children, and crafting and crocheting at whatever chance I can get. This is my space to share my little slice of life - including my crochet projects, my favorite crafts and recipes, and the beautiful nature and landscape of the great Midwest. Click here to read more! All content is © Mellie Blossom 2012-2015. PHOTOS: If you want to use one of my photos on your personal blog, you may use it, without permission, so long as it links back to the original post it was taken from on mellieblossom.com, and as long as the mellieblossom.com watermark is clearly visible. Please do not claim my photos as your own. PATTERNS: I'm happy to share my free patterns, so please don't copy my them and publish them on your website. 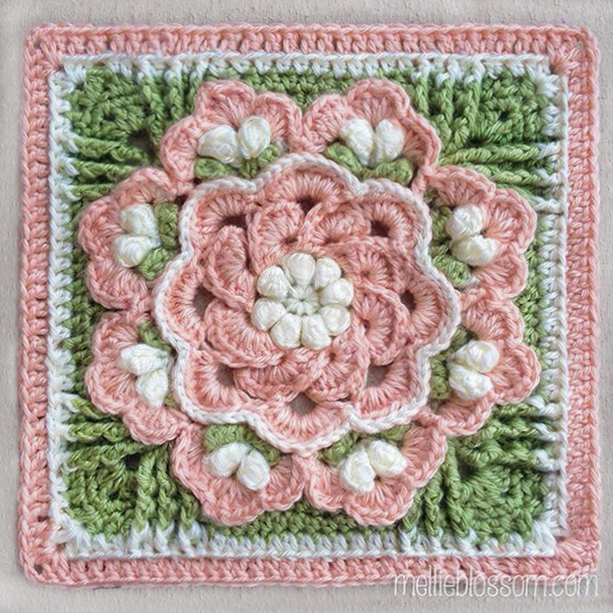 You are always welcome to link back to the pattern if you make your own projects using them. PINTEREST: Pinning on Pinterest is fine and encouraged - permission is explicitly granted. Please link to the original post and not just the home page so that others can find what you're pinning (you can do this by clicking the title of the post). Or, to make it easier, just use the "Pin It" button that hovers over each photo and it will do it for you. For questions and FAQ, click here for further details. Thank you! All content and images copyright mellieblossom.com 2012-2019 Blossom Feminine by Blossom Themes. Powered by WordPress.